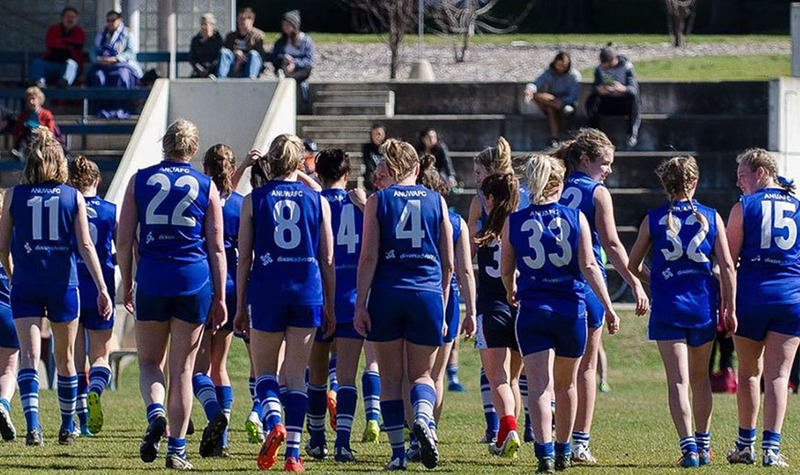 The Australian National University Australian Football Club (ANUAFC), in partnership with ANU Sport and AFL Canberra, is proud to offer a new AFL Women’s Leadership Scholarship starting this year! In the inaugural year of the AFL Women’s competition, ANUAFC would like to share in the celebration by offering a Women’s AFL Scholarship, the first of its kind. This Scholarship reflects the ANUAFC’s commitment to women’s leadership in sport, on campus, in career, and in the community. participate in speaking and ambassador roles for ANUAFC, ANU Sport and AFL Canberra. All women who are studying at the ANU, or have been accepted into an ANU study program, or who have applied to study at the ANU, and have demonstrated sporting and leadership skills are welcome to apply. Applications will be assessed by an independent panel of representatives from ANUAFC, ANU Sport, ANU, and AFL Canberra. Since 1961, the Australian National University Australian Rules Football Club (ANUAFC) has represented the ANU in the Canberra district competition of Australian Rules Football. With two men’s teams and a women’s team, the ANUAFC provides a safe, friendly and fun environment for students and non-students to learn the game of Australian Rules Football. The ANUAFC Women’s team joined the ACT Women’s competition in 2001. In 2017, the 20th anniversary year of the league, the ANU Women’s team is seeking to raise the bar in search for their first premiership. The team consists of players with a range of experience and ability, all with a shared commitment, determination and love of the game. The club is located at South Oval on ANU Campus, Acton in the heart of Canberra’s city. The President of the ANU Australian Football Club, Caitlin Roy, would be happy to answer any questions relating to the Scholarship or Club via email or mobile telephone.